Anniversary: It’s time for a Celebration! 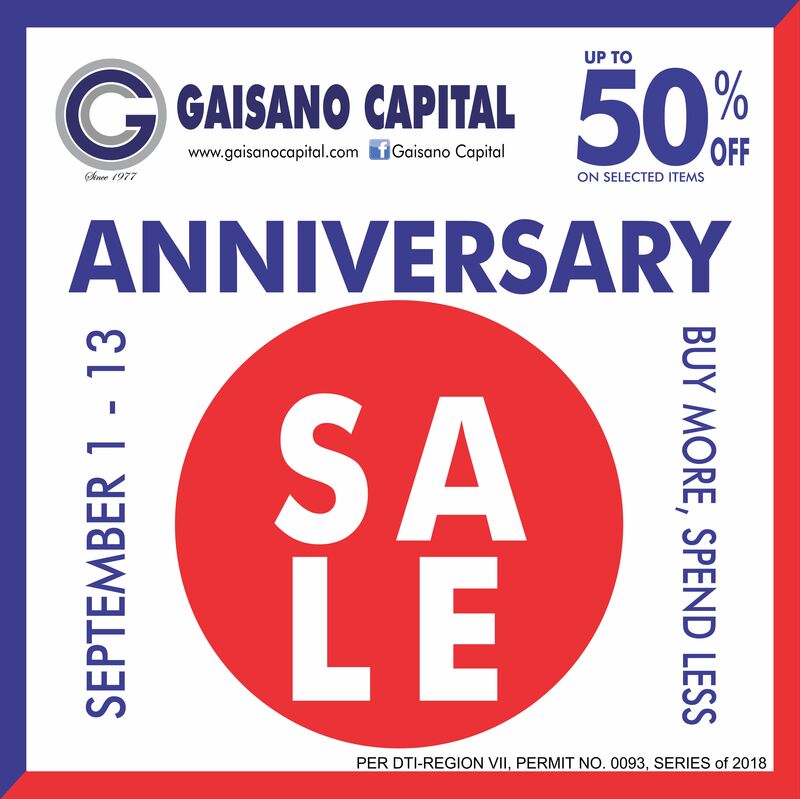 Shop during our Anniversary Sale from September 1-13 and get up to 50% discount on great selection of items. Plus! Special promotions awaits to you our valued shoppers! Buy more and spend less.